A monthly non-denominational Welsh language periodical that published biographies and domestic and foreign news alongside articles on religion, history and philosophy. The periodical was edited by John A. Williams until December 1827 and subsequently by the litterateur, David Owen (Brutus, 1795-1866). 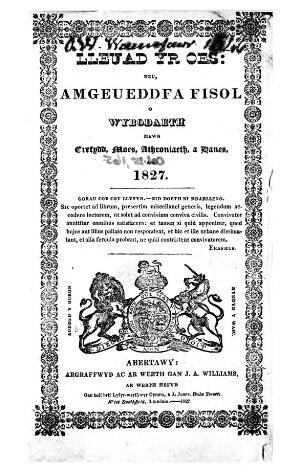 Associated titles: Yr Oes (1826); Yr Efangylydd (1831).